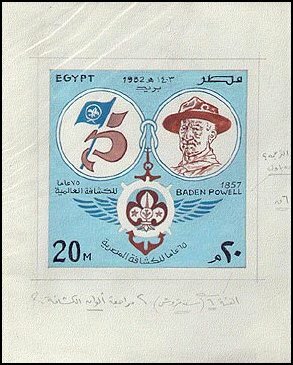 This is an artistic study of the 20m value for the Egyptian 75th Anniversary of World Scouting and 125th Anniversary of the birth of Baden-Powell issue. The stamp was issued on October 24, 1982 as Scott #1200, part of the #1198-1201 set with a value of 6p. 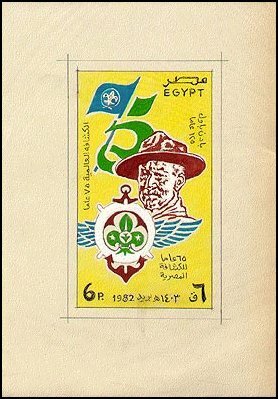 The printer was the National Posts Organization.